If there is a way to irk typospherians, making this kind of threat is one of them. I communicated my disdain to the eBay seller, politely, explaining how inappropriate it would be to chop the keys off such a beautiful machine, but that didn’t dissuade the seller. Such a shame. The seller of this Royal KMM wrote, “Looks like a disgruntled writer went bonkers on this one. For some reason all the key arms were bent and twisted when we got this. Have bent them back to somewhat correct position. Some key arm ends are damaged. Keys are also missing. 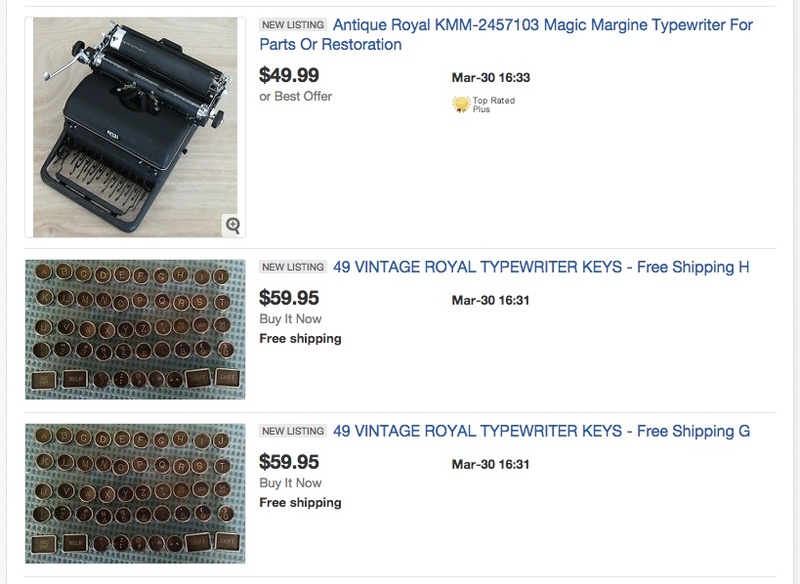 So all in all, probably a great typewriter for parts or restoration since the rest of it is in fine shape for the vintage.” Unfortunately, another seller was simultaneously offering several lots of keys — including keys from Royal machines. Very nasty. Fortunately, the asking price of $175 probably means he or she won’t have to part with it too soon. “Rough condition” — Yah think? Yikes, that “patina” is a fright! I also like how they say, “Sold as is I dont have any way to test it.” What, you can’t push the keys? Or is it that you don’t want to tell us what happened when you did? I’m rather amazed that these guys ever sell anything like that. who buys these rusted hulks at those prices? 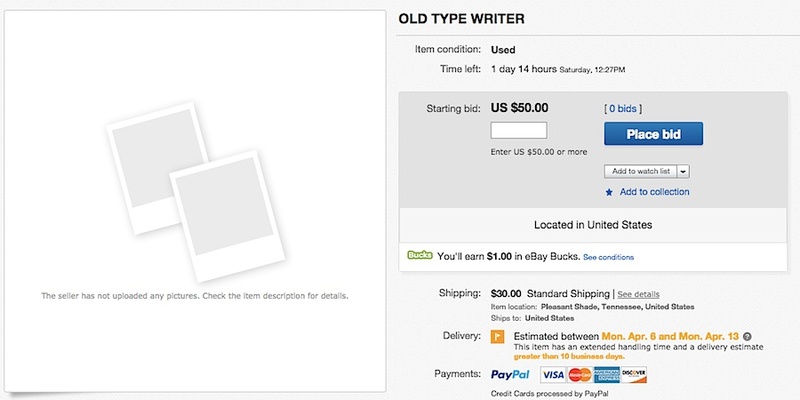 Yes, buying a typewriter online can be frustrating. Thank goodness for eBay’s money back guarantee. “Works” should mean exactly that!